Editor's note: This is the first in a four-part series looking at my favorite releases of 2012. I'll start my look back at 2012 with some hard rock and metal honorable mentions, disappointments and a look ahead at 2013 releases. Pharaoh – Bury the Light: You pretty much know what you’re getting with Pharaoh, and they delivered again on this record. 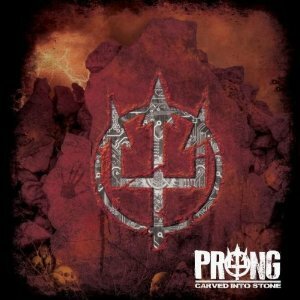 Prong – Carved into Stone: Probably the comeback album of the year, Prong gets back to the hooks, melodies and thrash that made their early albums so appealing. Firewind – Few Against Many: Guitarist Gus G does what he does. They’re the most consistent act in the the power metal genre, and nothing changes here. Crazy Lixx – Riot Avenue: This release took me back to my teens with some fun, 1980s-style hard rock. Jackyl – Best in Show: This is the best release in a while from the raunchy Atlanta rockers. 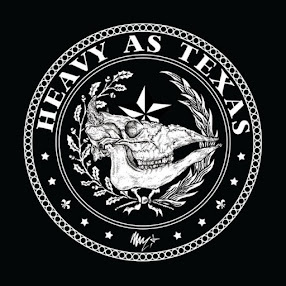 It brings back the fun and hooks of their first few records. Lamb of God – Resolution: The groove metal successors to Pantera’s crown took a few chances and tried some different things on this album. They didn’t always work, but it’s still a solid record. Eluveitie – Helvetios: The Swiss folk metallers’ first concept album, dealing with the Gaulish Wars, was perhaps a bit more melodic and stretched their boundaries just a little. Good stuff. Aerosmith – Music from Another Dimension! : They had 10 years to write it. Producer Jack Douglas, responsible for some of their best albums, was back on board. I expected more. There are a handful of good songs, a handful of bad ones, and a whole lot of mediocrity. Trixter – New Audio Machine: I wasn’t a fan of the band the first time around, and I made fun of this release before I heard it. Turns out I had to eat my smart-aleck words. Flotsam and Jetsam – Ugly Noise: The clips that I’ve heard from this album sound really, really good, and I wanted to hold off on this list until I had it in hand. But with a couple of push-backs and the way the band is releasing the album, it will have to wait for my 2013 list. Holy Grail – Ride the Void: Their last outing, Crisis in Utopia, was one of my favorites of 2010 and has only grown on me since. Due in January. Soilwork – The Living Infinite: For me, Soilwork rarely disappoints. Due in March. Phil Anselmo – Walk Through Exits Only: We’ll get a taste of it in January on a split with Warbeast from his Housecore Records. The full-length is due in March, though that’s always subject to change. Down – IV Parts 2 and 3: We’re scheduled to get the second and third parts of this one next year, but as with Anselmo’s solo record, we all know that’s subject to change. Jon Oliva solo album: Tentatively scheduled for a March release, the fanboy in me can’t wait. Trans-Siberian Orchestra – Gutter Ballet or Romanovs: Been looking forward to both, and we’ve heard some remakes of the original Savatage tunes on tour, but having learned from Night Castle, Paul O’Neill’s not saying when they will be here. New Black Sabbath album: Will it happen? Will it fall apart? Who knows? New Queensryche album: I like the snippets I’ve heard so far and am hopeful for a return to metal. New Metallica album: Yeah. I know it’s not going to happen because even if the pieces were in place it takes them a year and a half, but I can hope. Up next: My 10 favorite metal and hard rock albums of 2012.